Over years of love and use, the edges of a once beautiful rug can become frayed, and begin to fall apart. Normal foot traffic, movement of heavy furniture, and other destructive forces can begin to take their toll. The look is messy and unattractive, and the damage accelerates the longer that it goes unamended. The more carpeting is frayed, the faster it will continue to fray until something is done. Rest assured, your decor isn't doomed. Most of the damage sustained can be repaired, and future damage prevented, with rug binding by The Carpet Center. 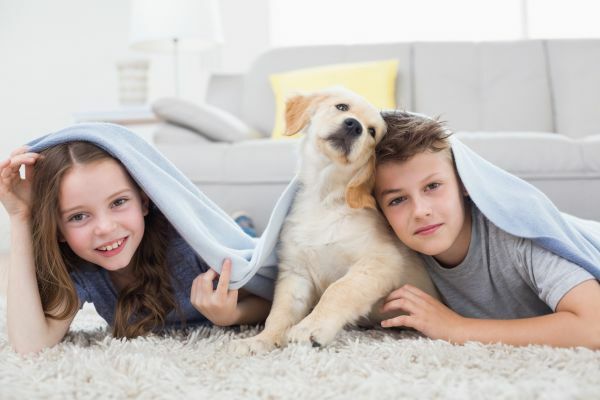 Rug binding is a process where a strip of cotton or synthetic material is attached to the bottom edge of a carpet, and it can be done to most types of carpeting, regardless of age or damage. It strengthens the edges of the fabric to prevent fraying. Even if your rug is fairly new, it can still benefit from being bound. Make sure that all of that time you spent going from place to place to find the perfect piece for your decor was well spent, and that you've chosen a rug that will last you for many years. Rug binding lengthens those years, and helps to keep your investment looking newer for longer, even under heavy traffic. The Carpet Center is the number one place to go in the Campbell area for rug binding. We've worked hard to build up a reputation for great work and continuously low prices with the people of Campbell over the years. When you trust your rugs to us, you can be certain that they're in good hands. We offer rug binding, serging, fringing and more, all finished quickly and with great care. To find out more about our rug binding services, call us at [[cms:phone]] , email us at carpetcenter@mail.com , or come visit us at our store in Campbell.